Most parents want to raise confident children. Naturally, parents play a very significant role in helping to nurture and develop their children’s self-confidence. This confidence, learned and developed early in life, can impact a child’s performance and coping skills as they grow up and into adulthood. 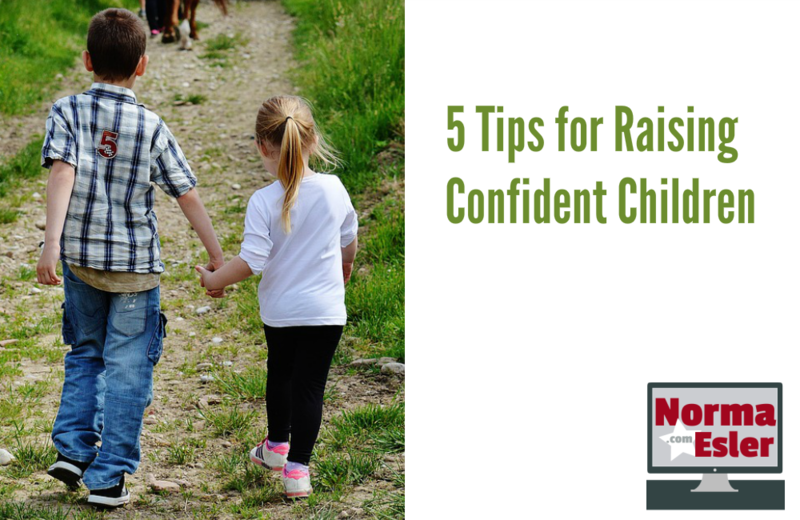 You need to realize that your children will run into situations in life that will chip away at their self-confidence, but if you continually help them build up their confidence, you can lessen the blow of these negative experiences. 1. Allow your children to be involved in decision making. It is never too early to teach your children to make their own decisions. Decision making gives your child confidence to trust their choices, and to live with the consequences of what they decide. With toddlers, you can allow them to choose what book they want you to read them at bedtime. You can let them choose what color of plate or cup they want to use for dinner. You can even let them decide on what t-shirt and pants they want to wear that day. At this age, however, you will have to limit the clothing from which they choose or they are liable to pick something that is completely inappropriate for the circumstances (ex. no coat in winter). As your children get older, you can let them make bigger decisions that are consistent with their ages. For example, many children go through a stage of not wanting to wear their mitts or toque, because their friends are not. If they are not going to get frostbite, then let them make that decision. You may be surprised when next time they actually choose to wear their mitts and toque after realizing that they were cold the last time they did not use them. Don’t be a helicopter parent, hovering at all times. You need to allow your children to spread their wings, giving them space to try out new things in a supportive and safe environment. For example, if you are at the playground with your young children, you want to let them play on the playground equipment while you stand nearby supervising and offering physical assist only when necessary to prevent injury. Not only does this help your children learn to become their own confident beings, it also helps develop necessary gross motor skills for sports and other activities. As your children get older, they may want to take the transit bus to the mall with their friends. As long as your children know how to use the bus to get there, and are safe doing so, this can be a great way to encourage confidence-building skills in your children. When your children come to you with problems they are dealing with, do not try to fix or solve everything. Instead, give your children the tools to guide them in making a decision. For example, if your child gets in trouble at school for playing a joke on a teacher, do not be that parent that immediately jumps to the defense of your child. All that teaches your child is that you will be there to dig them out of difficult situations that they get themselves into. Of course, let your children know that you will always be there for them, but teach them to own up to their mistakes and how they can prevent things like that from happening in the future. For some children, school can be a place where they are seen as different by their peers. It’s important to find an extracurricular activity that your child enjoys and does well at, as that will help build his/her self-confidence. Sometimes it can take a while to determine exactly what that activity is, but when you do, it can make all the difference in the world to your child. This can also be beneficial in that it allows your child to make new friends outside of school, further enhancing confidence. It is often easier for children to interact with people their own age. However, allowing them to interact with their parents’ friends and family is a good way to teach them confidence in talking with and discussing things with other people outside their age ranges. Using these tips for raising confident children can make a lasting, positive difference for your family.